I tried to set the capture format on a webcam from OpenCV's cv2.VideoCapture and ran into a problem: it's using the wrong IOCTL command. So I used python-v4l2capture to get images from the device, which allows more control. I wasn't able to find online a complete example on how to persist OpenCV matrices in Python (so really NumPy arrays) to YAML like what cv::FileStorage will give you. # A yaml constructor is for loading from a yaml node. # A yaml representer is for dumping structs into a yaml node. Too bad Dimple.JS doesn't have this feature built-in. They only have a boring old legend, where pie charts scream for labels that circle the actual pie (or donut). Anyway, here's how to get it done using some d3.js love. Sharing a small libjpeg snippet. Just wanted to report on completing a quick electronics prototyping project - making a very tiny ATTiny45-based simple USB dongle. 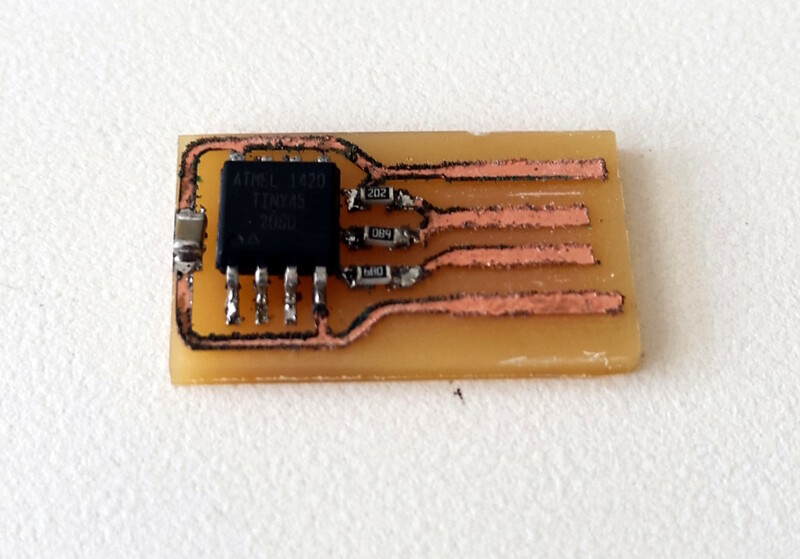 Continue reading "Smallest ATTiny45 USB"
Quickly: How to render a PDF to an image in C++? Poppler is a very useful tool for handling PDF, so I've discovered lately. Having tried both muPDF and ImageMagick's Magick++ and failed, Poppler stepped up to the challenge and paid off. All you have to do is give it the DPI (say you want to render in 100 DPI) and a filename. Keep in mind it only renders the first page, but getting the other pages is just as easy. Continue reading "Bootstrapping planar AR and tracking without markers [w/code]"